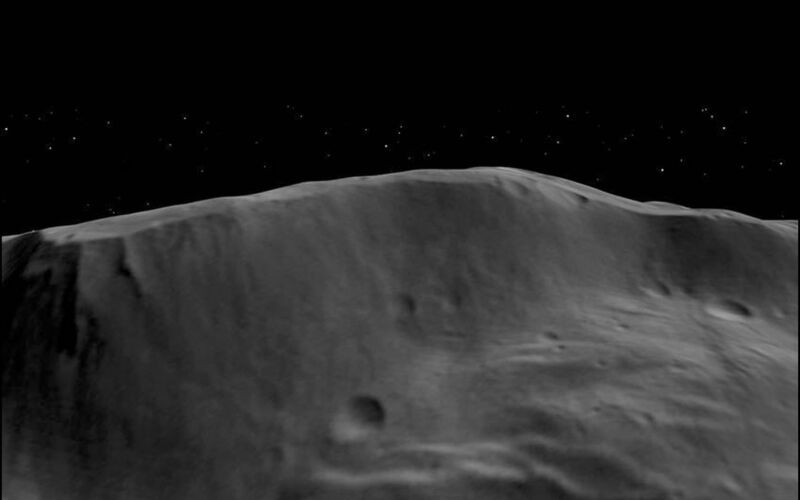 This animation made from data obtained by NASA's Dawn spacecraft shows the topography of a portion of the wall and interior of the Rheasilvia impact basin (310 miles or 500 kilometers in diameter) in Vesta's south-polar region. 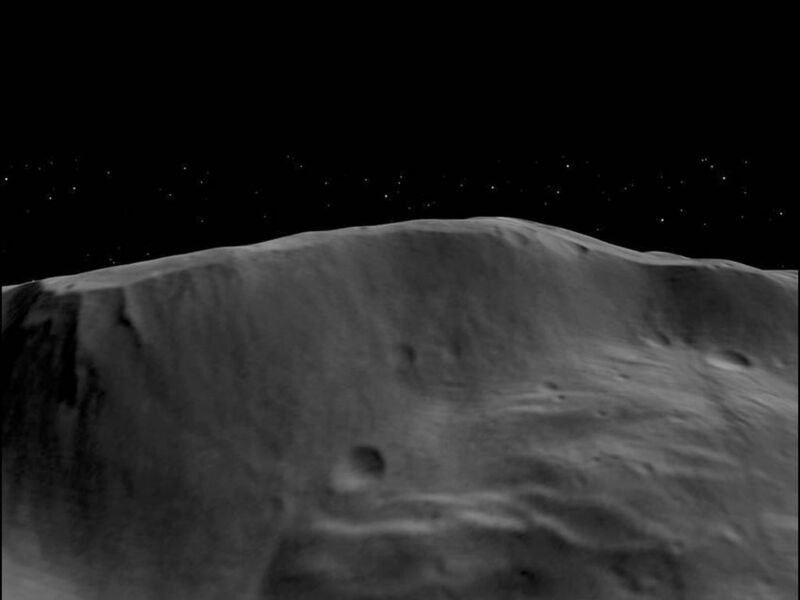 This basin affected Vesta's global shape and geology. 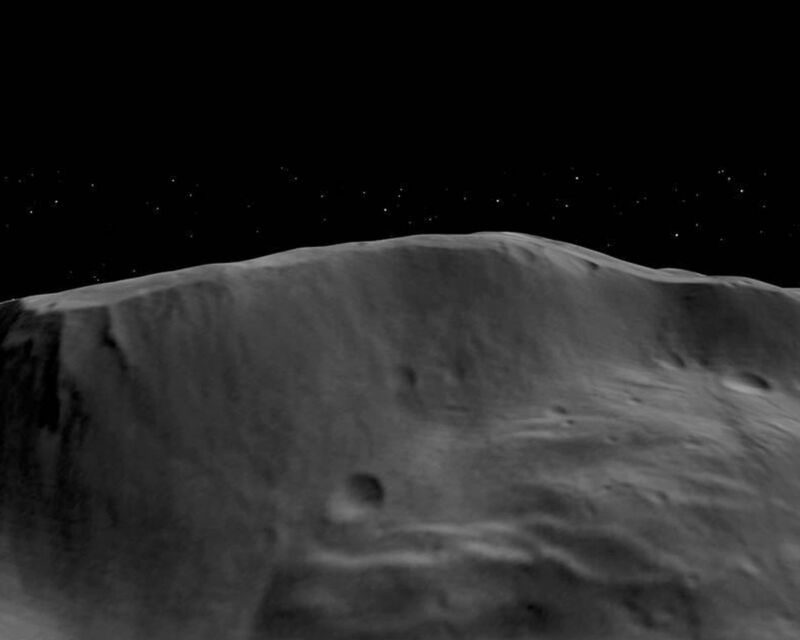 The flyover was made from images obtained by Dawn's framing camera during high-altitude mapping orbit (on average 420 miles or 680 kilometers above the surface). 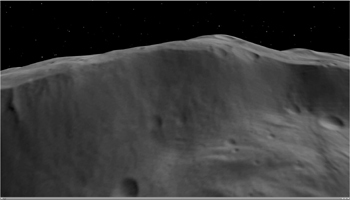 For other related movies of the Vesta surface, see http://www.jpl.nasa.gov/video/index.cfm?id=1020 and https://photojournal.jpl.nasa.gov/catalog/PIA15140.